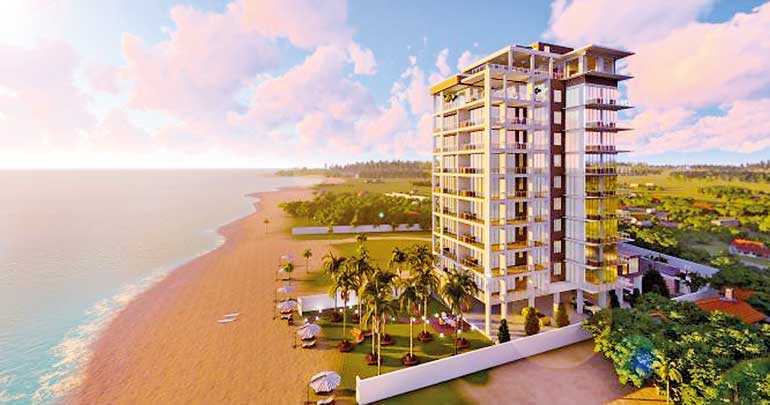 Luxury living is being snapped up on Sri Lanka’s southern coast with the country’s first boutique beachfront apartment complex experiencing strong sales to an impressive list of buyers, just four weeks after being released. The overwhelming response to Crystal Sands is being driven by the project’s stunning beachfront location, the boutique condo-hotel concept, and of course the impressive team behind the project which includes Sri Lanka’s cricketing superstar, Kumar Sangakkara. Given the demand it’s no surprise the team behind Crystal Sands only intends to sell a few more apartments and hold the rest. CEO Reza Magdon-Ismail explains: “Ultimately, we believe in the long-term value of Crystal Sands and are encouraged by Lonely Planet ranking Sri Lanka as its number one tourism destination for 2019. These are just two reasons why we intend to manage and market Crystal Sands and want to, along with apartment owners, benefit from future rental yields. Our goal is to beat the 10% USD annual yields forecasted by KPMG at 75% occupancy.” Crystal Sands apartments are available as two and three-bedroom options over eight levels and crowned by a luxurious Presidential Suite. Each apartment will have stunning ocean views and a private plunge pool, while the rooftop of the complex will boast an infinity pool, poolside bar and a restaurant serving up enticing international cuisine. Available apartment prices start from $249,000 for a two-bedroom. An initial $10,000 fee is required to reserve your apartment. For more information visit www.crystalsands.lk, email sales@crystalsands.lk or contact +94 77 229 2202.